Select a contact:	 Leo J. Clark, M.D., F.A.C.S., Esq. of Counsel Mark Abramowitz Esq. of Counsel Robert J. DiCello, Esq. Robert J. DiCello was admitted to the Ohio State Bar Association in 1971. He served as Assistant Prosecutor for the Lake County Prosecutor's Office in Ohio. In 1971, he was admitted to the U.S. District Court, Northern District of Ohio; and to the U.S. Supreme Court in 1977. 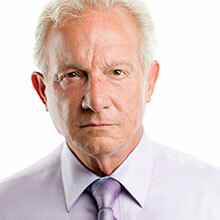 In 1978, Robert J. DiCello founded The DiCello Law Firm. He successfully argued several cases in the Ohio Supreme Court and is a past president of the Lake County Bar Association. Mr. DiCello has obtained an impressive list of seven-figure (or more) verdicts and settlement for his clients.